What's more adorable than an animal appliqué? One that's attached to a jersey dress, that's what. 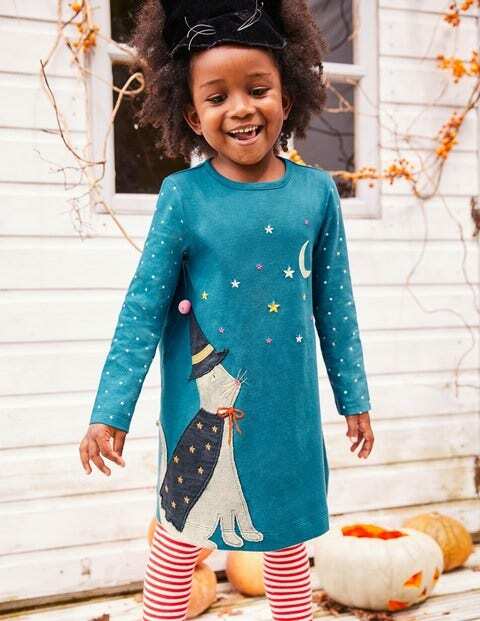 Made from cosy and comfortable cotton with a full, swishy shape, it's perfect for everything from dog walks to parties. With patterned sleeves and shiny metallic thread, it's (almost) as fun as a real pet.